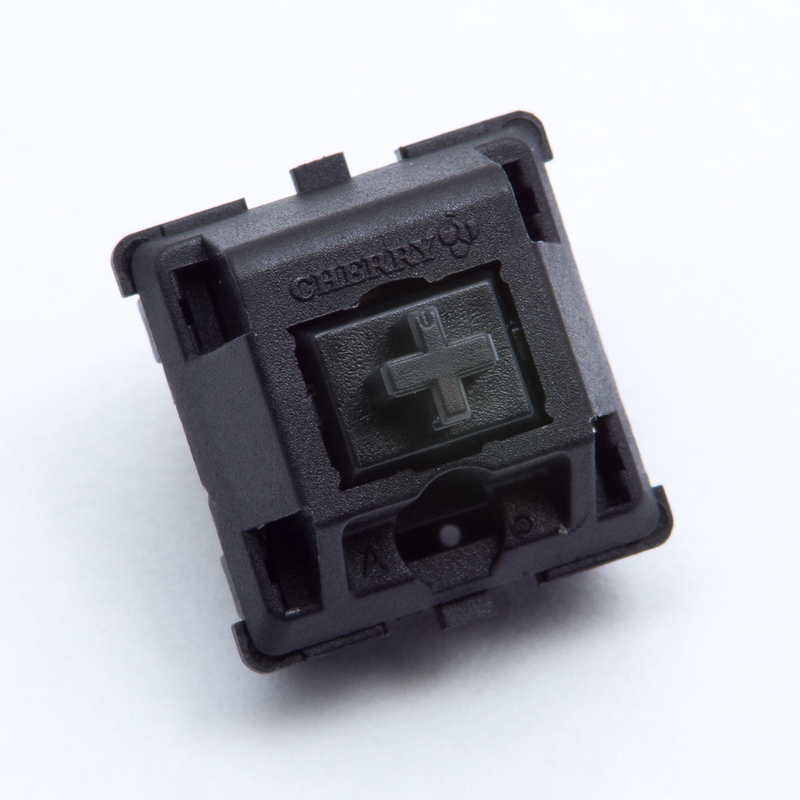 Cherry has earned much of its reputation for quality and unwavering attention to detail from its development and production of the MX Black switch. This firm, linear switch was the first truly popular modular mainstream “mechanical switch”. Keyboard models that differed only in switch selection were released in the 1980’s and 1990’s that allowed the general public to compare Cherry MX Black to other switch manufacturers. Enthusiast computer users nominated the keyboards containing Cherry Switches to be “the good ones”, and the word quickly spread. Like many of the switches developed in the golden age of computing, the weight and feel of the Cherry MX Black is far heavier than what you may be familiar with today. This is a linear switch, meaning it will have a very consistent feel as you press it, changing only as the internal spring compresses. The heavy weight of the spring does make it challenging to “bottom out” or fully press down the switch, which can be very helpful for long typing sessions.